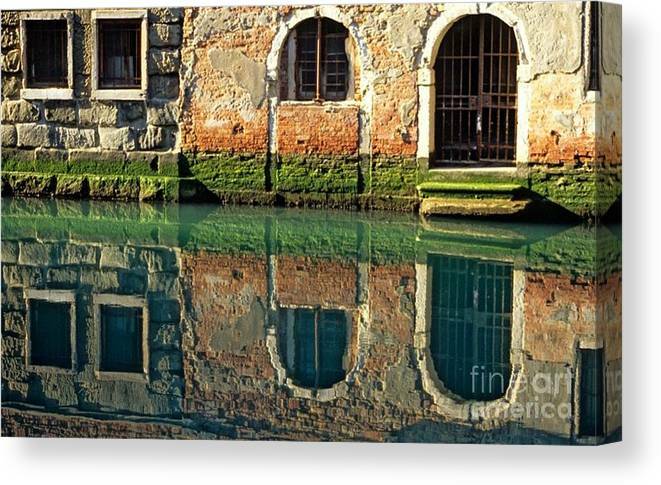 Reflection On Canal In Venice by Michael Henderson - 10.000" x 6.375"
Reflection On Canal In Venice canvas print by Michael Henderson. Bring your artwork to life with the texture and depth of a stretched canvas print. Your image gets printed onto one of our premium canvases and then stretched on a wooden frame of 1.5" x 1.5" stretcher bars (gallery wrap) or 5/8" x 5/8" stretcher bars (museum wrap). Your canvas print will be delivered to you "ready to hang" with pre-attached hanging wire, mounting hooks, and nails. Boy, living in Venice is not such a bad deal, is it? You must have quite a collection of photos. 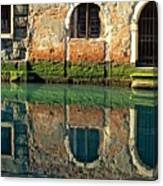 This one stood out and reminded me of all the muted colours and varying textures of Venice. Bravo for your gallery, all photos are worth a visit. Do you have any photos taken on the colourful little island of Burano? 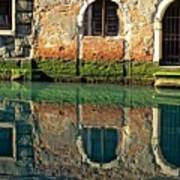 The camals of Venice act as mirrors when there is no traffic for a while. This print is 12 x 18" on glossy photo paper. Other sizes and papers are available, contact the artist.